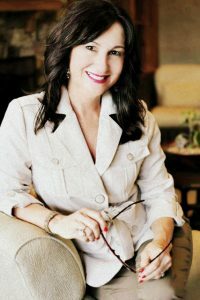 Kris Cawley is a licensed broker in Georgia and South Carolina, who has successfully owned and brokered three real estate companies in Metro Atlanta. For over twelve years, Kris Cawley was the owner and broker of an esteemed firm specializing in luxury homes. Highly goal oriented and proficient at meeting and exceeding established goals, Kris sold over 1000 thousand homes in less than 10 years, designed and renovated two commercial buildings for dining, art gallery, and office space and designed and marketed a 200+ new home community. She worked with lenders during the recession and more importantly Kris has helped many homeowners caught in difficult circumstances from life events that created a need to sell their properties quickly for job relocation or family emergencies. Kris Cawley is a loyal, incredibly accomplished Broker Associate whose dedication to her clients is unbeatable! Have a strong advocate with over 22 years of experience determined to bring you the highest return on your home. Become knowledgeable with the process involved in selling your home including staging of your home to make it as appealing as possible to potential buyers. Be confident that your home will be visible to more buyers and agents with qualified buyers by utilizing the most current and creative marketing available. Have an experienced skilled negotiator working on your behalf who will treat you with the respect and consideration that you deserve. Have peace of mind knowing that all the details of your sale are being handled properly by a licensed and trained professional with the valuable experience needed to help you navigate the process.